With the warmer weather just around the corner, it’s time to get excited about the outdoors: from mowing our lawns, planting bulbs, or cleaning up our yards – summer is fast approaching! 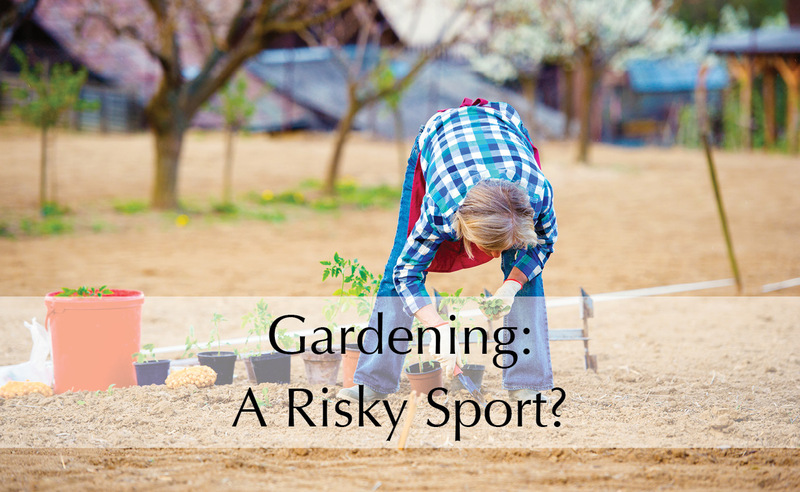 Although gardening can be a great workout, we may not be ready for all of the bending, twisting, lifting, pulling, and kneeling involved. According to the Ontario Chiropractic Association, 88% of chiropractors reported that gardening is the primary source of neck and back pain during the summer months. This is because staying in the crouched position for several hours daily is highly undesirable for our knees and lower back. Similarly, the neck, arms, and wrists can also suffer in this position due to repetitive strain. The good news is that we can prepare our body to enjoy the summer, rather than suffering from these potential injuries. Protect your feet with closed toe footwear that includes your orthotics! Lift with your legs, not your back. Remember, ask for help when dealing with a heavy load! If you experience pain that lasts more than 2-3 days, you may need some support or care. Call us and we can help you relieve this pain so that you can keep gardening and moving!